Last weekend we hired a motorhome from Live the Dream Motorhome Hire, based in our neighbouring village of Anderton, as we wait for our own panel van conversion to be completed. We only had a short weekend so picked up the van early on Saturday morning, following a comprehensive handover from the owners - and keen motorhomers themselves - Lesley & David. I had pre-booked a pitch at the Beech Croft Farm Camping & Caravan Site in Blackwell, a small hamlet just off the A6 between Buxton and Bakewell. 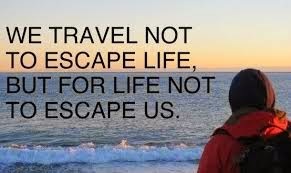 Our son, Chris came with us; sadly he is being medically discharged from the Army following a significant leg injury, so it was an opportunity for him to get away from this worry and relax, and for us to talk to him about what he wants to do next and how we can help him. 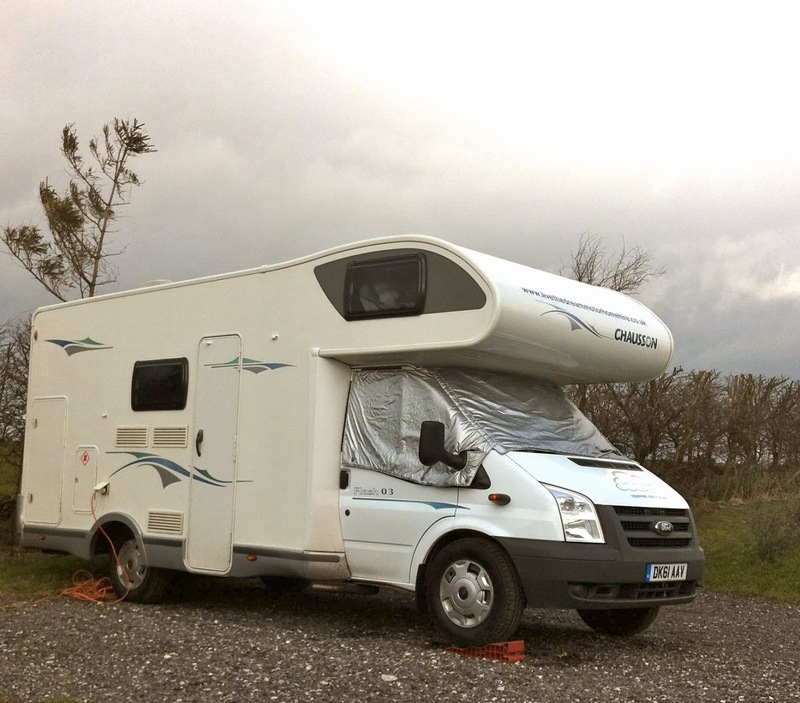 The van we hired was a Chausson Flash 03. This is a six-berth van with a large over-cab double bed, two transverse bunk-beds at the rear and a double dinette which converts into another double bed. The bathroom was large, with a separate shower area. The galley area was sufficient for our needs, with a decent sized fridge, 3 ring hob and grill. 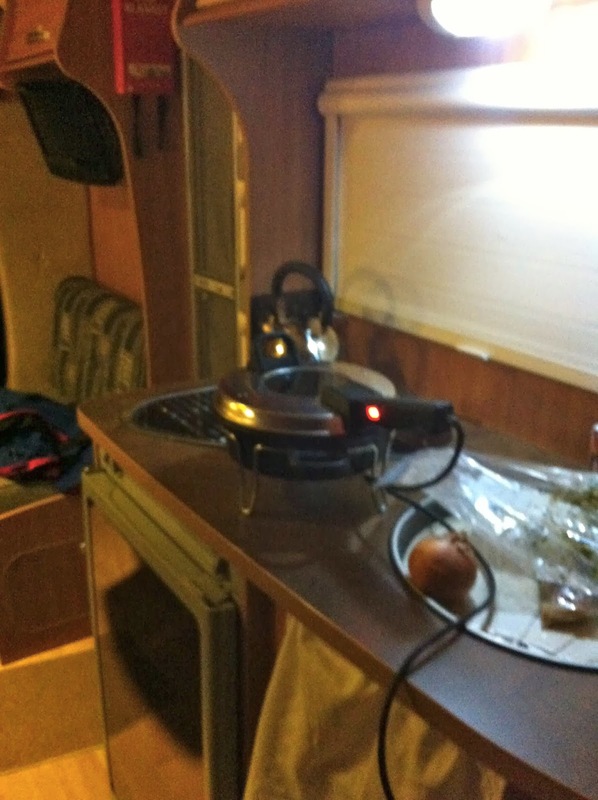 We also took a Remoska cooker, which we had borrowed from one of Cathy's clients to 'road-test'. I cooked a Caribbean Lamb dish in it, with rice and peas, plus it also cooked our breakfast bacon. It's a good piece of kit if you're on EHU - quite pricey but Lakeland provide a lifetime guarantee, so worth the investment. The van also came with a diesel-driven blown air heating system, something we were glad of in the chilly Peak District hills. The van is based on a Ford chassis and was easy to drive, with plenty of power to tackle the journey, across the Peaks, past the high Cat & Fiddle Pub and over various hillsides. Thankfully this is only about an hour or so from home, so the journey was short. We arrived at the campsite at about 1100. I walked over to the Reception and was warmly welcomed and invited to take my pick of pitches. The site was very busy (a sign of it's popularity) and we had arrived before the normal midday checkout time, but there was a pitch available in the higher area. This came with EHU, water supply and a TV socket. The lady who checked us in also took the time to explain how to get to the local pubs and local walks from the site - this was really helpful as we planned to do both! Once pitched and levelled up, on went the kettle and we had some lunch and settled in. The site has some excellent facilities, including a toilet/shower block with underfloor heating and a well-stocked shop. Also, in the morning, there is a breakfast van that visits, for those too tired (or hungover!) to cook. Coupled with peace, quiet and great views, this is a perfect site for exploring a lovely part of the Peak District. After lunch we headed off to walk part of the Monsal Trail. This is based on an old railway line and a number of tunnels have been recently opened up, allowing you to walk all the way to Bakewell. Windy and chilly on the top of the hills, as we descended into the shelter of the valleys, the sun came out and we enjoyed the very welcome warmth and light it provided. We walked for about an hour before branching off the Trail and heading up the hill towards Priestcliffe - Chris, despite his injury, 'yomped' well ahead of his old Mum & Dad! We followed the track towards the A6 and stopped off at the Waterloo Hotel for a drink. The welcome and log fire were warm and, after a couple of pints of local beer, we headed back to the van to settle in for the evening. For once Chris 'remembered' to bring his wallet! ..and his Dad was glad of it! With screens up and curtains closed, the van soon warmed up. 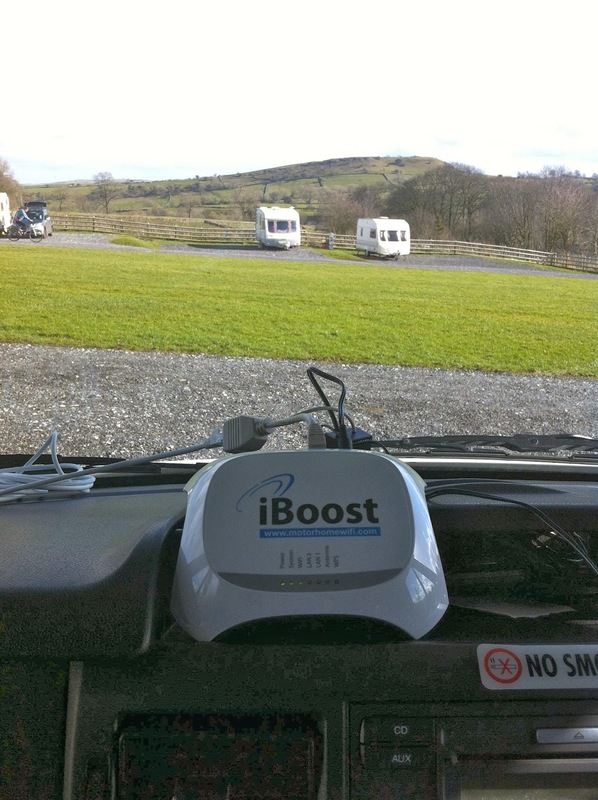 I had already set up and tested the i-Boost wifi system, which proved extremely powerful and well worth the investment; we were all able to catch up on emails, social media etc, plus stream music via Spotify - a great piece of kit. After a few drinks and nibbles, the Remoska cooked the Caribbean Homecoming Lamb to perfection and, with the rice and peas, we enjoyed a lovely warming meal. After a few games of 'Pass the Pigs' plus tea and chocolate biscuits, we were ready for bed. We slept reasonably well, although the wind had increased dramatically and the van swayed quite a lot in the strong gusts - it reminded me of being back at sea! 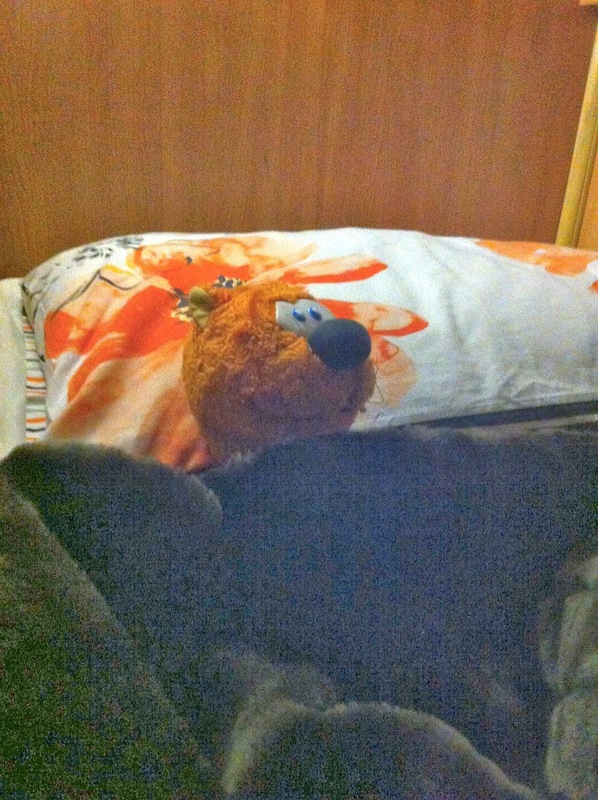 Even Chris' childhood mate - Tiglet - enjoyed the warmth of his bed! We had a lazy lay-in, followed by a breakfast of bacon (cooked in the ever-useful Remoska), scrambled eggs and baked beans. Then it was time to strike-camp, empty fluids, pack and head off back to Anderton. I was expecting a difficult drive back in the very strong wind, particularly over the top of the Silk Road, but the Chausson handled very well and caused us no problems at all. This was a very short break, but we enjoyed it nonetheless. The site was perfect for us - quiet with great views, yet well equipped and very well-maintained. 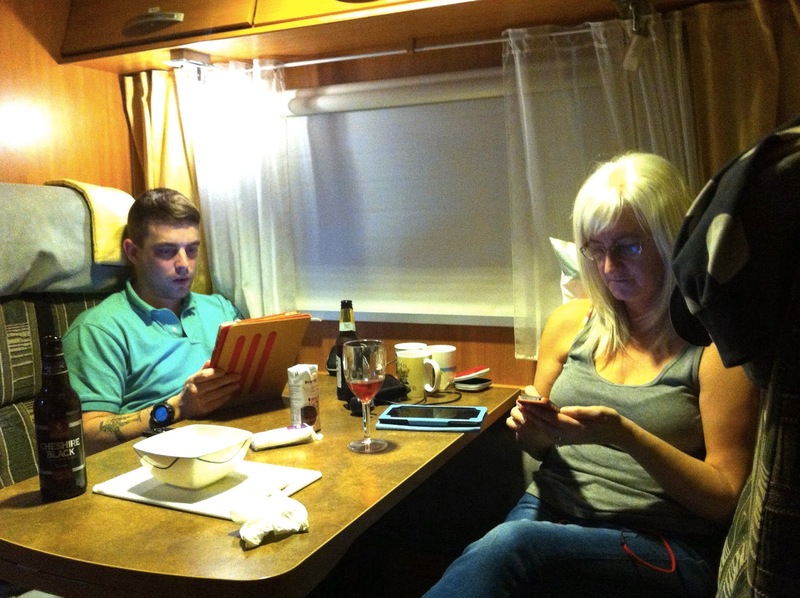 We're grateful for Lydia Pearce highlighting this site in her very informative blog - Adventures in a Motorhome - thanks Lydia! It was also lovely to spend some quality time with our son, Chris, as he comes to terms with being invalided out of the Army - hopefully something better will follow for him soon. Our next trip will be in a fortnight, this time in an Adria Twin SLX, very similar to our own 'in progress' van conversion, so we're looking forward to trying out this size of van.